Following the theme of rare diseases, Assistant Editor Hannah Blake interviews Steven Grossman, who worked on the original Orphan Drug Act in 1983. Now a policy and regulatory consultant, Steven has a blog called FDA Matters, which provides regular commentary on FDA issues. The Orphan Drug Act was introduced in the United States in 1983, to encourage pharmaceutical companies to develop drugs that only have a small market. In the US, these drugs are for rare diseases and disorders that affect less than 200,000 Americans. We speak with Steven Grossman, who worked in the US Senate during passage of the Orphan Drug Act and at the Department of Health and Human Services during its implementation. Since working within government for a decade, and with over 35 years experience of the FDA, Steven started a blog called FDA Matters, in which he comments on FDA policies and regulation. He provides us with an insight into his role and his thoughts on how pharma can best meet the needs of rare disease patients. HB: Could you please tell me a bit about how your background and how you became involved in your current roles? SG: I am a lawyer by training, but have always worked on policy, legislative and regulatory issues rather than played a traditional lawyer’s role. I spent a decade in government — 6 years working in the Senate with the committee that handles FDA legislation, then nearly four years as a Deputy Assistant Secretary for Health at the Department of Health and Human Services. The timing was great: I worked on the original Orphan Drug Act in 1983, and then was at HHS to be involved in its implementation. I have spent the last 20 years (post-government) as a consultant — the last 11 years with my own policy and strategic regulatory consulting company, HPS Group. In 2006, I was involved in founding an organization, the Alliance for a Stronger FDA, to advocate for increased funding for the Food and Drug Administration. As a broad-based coalition of patients, consumers and FDA-regulated industry, we have been very successful and increased the FDA’s appropriation by a billion dollars (about 60%). However, as the budgetary squeeze in the US has gotten tighter, our job has become more difficult. In 2009, as part of my consulting practice, I started a blog called FDA Matters. I try to provide insight into various aspects of FDA policy and regulation, drawing on my nearly 35 years of experience dealing with the agency. The columns are intentionally short (600 to 800 words so that they can be read in 3 to 5 minutes). I usually publish 3 to 4 new columns each month. HB: What was your inspiration behind setting up your blog, FDA Matters? SG: The US had just elected President Obama and it looked like FDA was going to go in some new and interesting directions. In particular, Commissioner Hamburg has a public health background and little association with traditional FDA issues, whereas virtually all of her predecessors had come from academic medicine and had better known views on drug development and regulation. At the time, there were a number of rumors about what was going to happen — much of it misleading and some of it completely wrong. There was a lot of paranoia. So, an immediate goal for FDA Matters was to engage in what I call “rumor control”. Soon, the blog became a forum for some ideas I had been developing about regulatory science (this was before it became an FDA initiative), closer NIH-FDA ties, and better planning for FDA’s future. My columns also reflect that I am a big believer in the strength of FDA staff and feel they are much maligned, even while I have no hesitation in pointing out things that I think are wrong or could be done better. It is 180 columns later and there is always something interesting to write about. I think much of the success of the blog is that I look at FDA without an ideological bias and have no particular agenda other than to work for a better FDA. In that sense, I am a true policy person and a student of how government functions in the real world. HB: One topic that comes up regularly on your blog is rare diseases – how can pharma best overcome the unmet need for orphan drugs? SG: There are a large number of barriers to successful development of orphan drugs. “Small patient populations” is the obvious one. Over the years, FDA has demonstrated flexibility on many occasions and is sensitive to the difficulties of overcoming this unmet need. At the same time, the Congress has just urged FDA to be even more flexible and to increase the number of staff that are familiar with orphan drug issues. FDA needs to do better — and I think they know that. Over the past few months, I have become more sensitive to a whole host of other issues that relate to the heterogeneous nature of rare disease populations. For example, the conventional clinical trial model — even scaled to a smaller population — is still a difficult vehicle for proving efficacy against diseases that progress slowly and unevenly over a number of years. Industry need to work even more closely with patient organizations, such as the National Organization for Rare Disorders (NORD), to help FDA grapple with orphan drugs — which, by definition, are going to be a continuous source of new challenges in drug development. HB: How is the FDA involved in rare diseases? SG: Since the Orphan Drug Act of 1983, FDA has had a formal institution role in encouraging development of orphan drugs. There are two basic programs: a process for granting “orphan designation” to specific products in development and a grant program that encourages smaller companies and often academic researchers to advance their work into a potential orphan treatment. On a larger scale, FDA drug and device review divisions are constantly dealing with one or more applications for orphans. CDER (and soon CDRH) has developed a small team that consults with the review divisions to evaluate orphan applications and encourage appropriate adjustments to work around the many barriers presented by orphans. HB: Are there any differences in orphan drug regulations around the world? SG: Orphan drugs are a concern worldwide. The US and the EU have moved toward an integrated application for orphan drug designation — but the standards for designation are different. Although not an area I have studied, my understanding is that there are more than a dozen countries with orphan drug laws, including Israel and Japan. HB: How has the orphan drug space changed since the introduction of the Orphan Drug Act 1983? SG: There is really no way to compare the situation. When we passed the Act, we hoped to stimulate the development of a few drugs that would make a difference in people’s lives. No one foresaw that we were creating what would become a multi-billion dollar market segment in which companies might compete fiercely to be first. The timing was also fortuitous — in that the Act was adopted just as our capabilities in biotechnology began to grow and the two movements are closely intertwined. HB: What are some of the challenges, in your opinion, for orphan drugs? SG: As I’ve noted, orphan drugs and small populations are an easy association, but the difficulties of developing drugs for rare diseases are much greater than even the problems of adequately powered studies and sufficient patient enrolment. Often treatment populations are too widely scattered or too concentrated. A significant number of rare diseases do not have documented natural histories. Many rare diseases are degenerative and are heterogeneous in terms of natural history. Will, for example, a two-year trial demonstrate sufficient benefit when the rate of decline in patients might occur over a 10-year period? Genetic diseases also pose significant challenges in the design of clinical trials, particularly in identifying biomarkers and other surrogates for disease progression. HB: How can these challenges be overcome? SG: There are a lot of encouraging trends. There has never been more research work done on rare diseases than there is currently. NIH has stepped up and gotten far more involved — both by itself and in coordination with FDA. Industry will remain a major player, but they need more help from FDA in working through seemingly intractable problems of study design and appropriate endpoints to demonstrate efficacy. 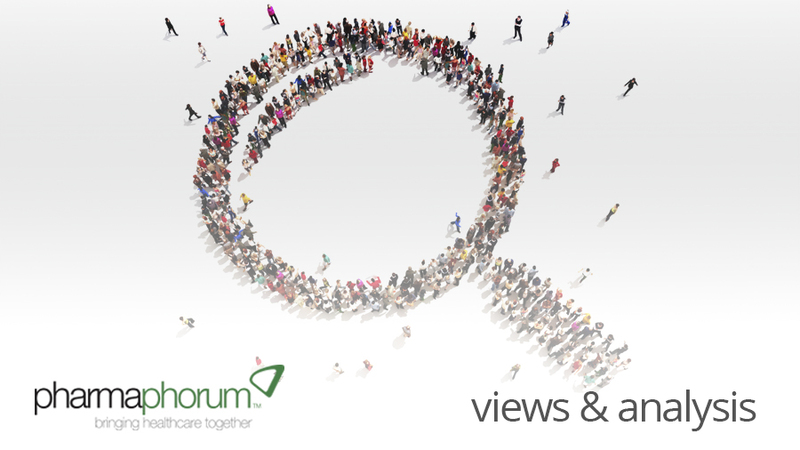 HB: What do you think the future looks like for pharma and orphan drugs? SG: The future for orphan drugs seems very bright. Industry and government are both making major commitments. Growth in our general biological knowledge is also contributing new insights that might unlock the secrets of many rare diseases. I am also hopeful that some “platform technologies” will provide therapies for multiple related rare diseases rather than trying to conquer 7000 rare diseases one by one. HB: Thank you for sharing your thoughts, Steven. What challenges do you see for orphan drugs?